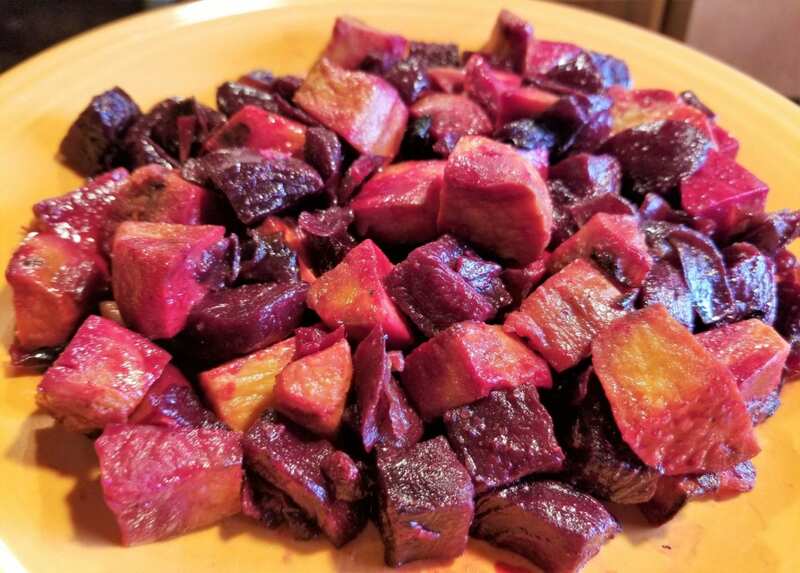 Beets are a mysterious, antioxidant rich, cancer fighting, blood pressure regulating, inflammation reducing, digestion assisting, brain health supporting, delicious and nutritious super food! For those new to the beet realm, the addition of sweet potato and red onion make this recipe extra nutritious and fun. This recipe is also delicious as leftovers served cold. 1. Set oven temperature to 450 degrees. 2. Evenly chop beets, sweet potato and red onion. 3. On a sheet pan, toss beets, sweet potatoes and onion with 1 tbsp extra virgin olive oil, salt and pepper to taste. Smooth to a single layer. 4. Roast for 10 minutes, stir, and roast for an additional 15 minutes or until tender as desired. 5. If desired, drizzle lightly with honey after plating. 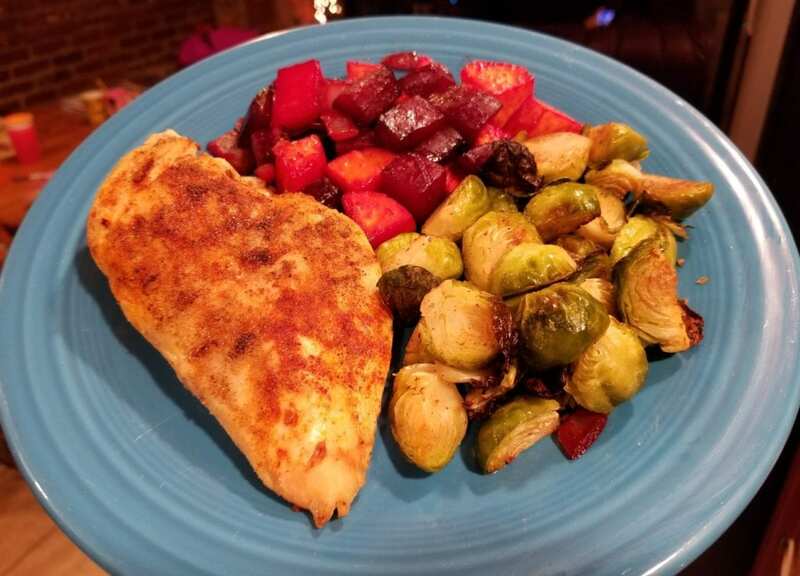 I served this with roasted chicken and brussels sprouts. What Goes into a Dietitian’s Grocery Cart?